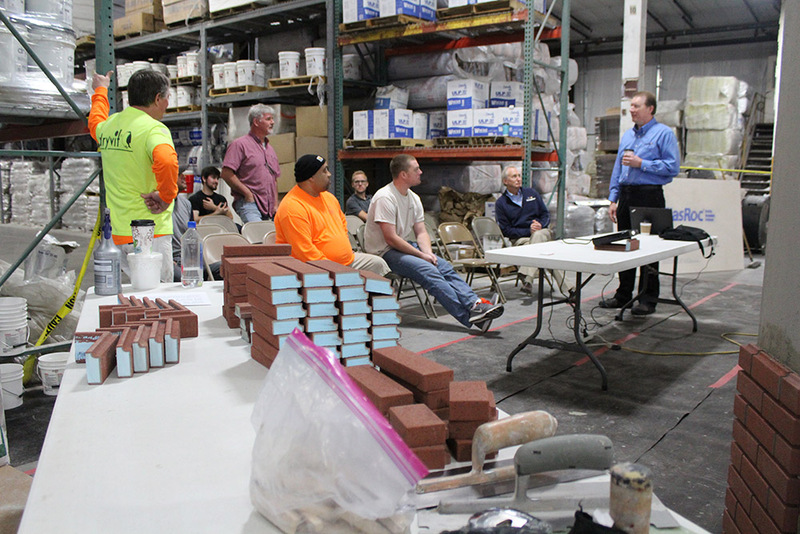 Kinzler employees and customers listen to a representative from Dryvit speak about the benefits of NewBrick. Kinzler is a leading supplier of distributed construction products. 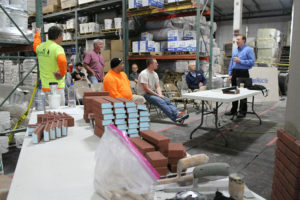 Our Distribution Department customers and staff recently watched a demonstration of an exciting new product offered by Dryvit called NewBrick. NewBrick offers the industry a different way to build more cost and energy efficient, traditional-looking buildings, from the ground up in a faster and simpler way. It’s a game-changing innovation in exterior wall design that can be installed over most common building systems, including concrete and masonry, as well as over any Dryvit Outsulation® CI system. Learn more about NewBrick. Call Kinzler Construction Services today at 888-292-2382 to discuss with our team how NewBrick might be the best product for your next project!